Paper Daisy Crafting: Christmas treat pouches with Quilted Christmas from Stampin' Up! 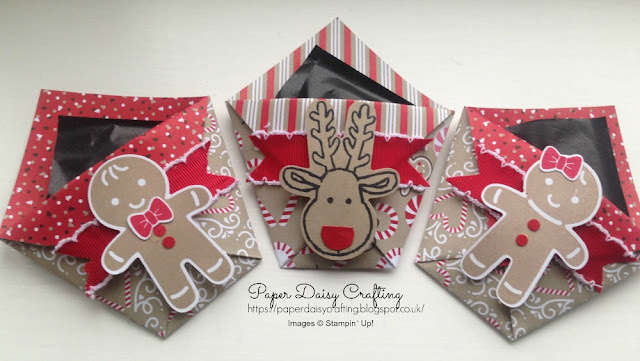 Christmas treat pouches with Quilted Christmas from Stampin' Up! I am so excited as when you are reading this I will be getting ready to attend a team training day of crafting, business talks and fun, with my direct upline, having spent the whole day yesterday at our national bi-annual training day called "On Stage" in Birmingham. Hundreds of demonstrators in the same room! As demonstrators we will have seen a preview of the new catalogue which is due out in January and what's more, have had a play with some of the new products. Such a fun and exciting weekend. If you'd like to attend an events like this, ask me about becoming a demonstrator and joining my team of "Paper Daisies". You can join as a "hobby demo" just to be able to access these fun events and a minimum discount of 20% on all your future purchases. There's absolutely no obligation to do anything more - unless you want to! And what's more, when you jopin, you get to spend £130 and only pay £99. What are you waiting for? 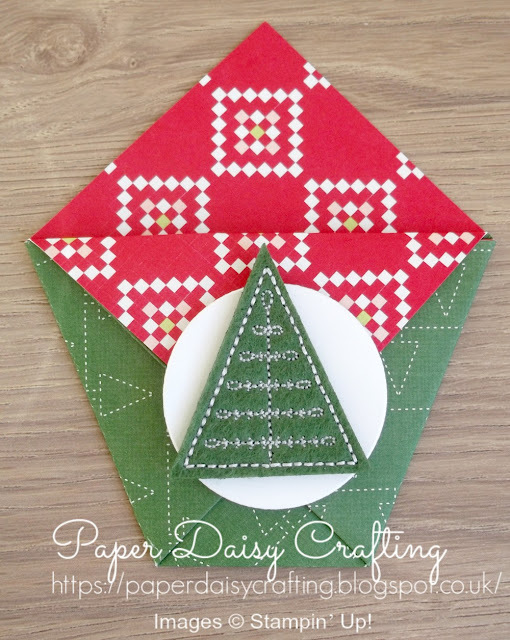 My project today is a revisit of a project I made last year using our Cookie Cutter stamp set. Remember these? This set is still available - just click on the link below. 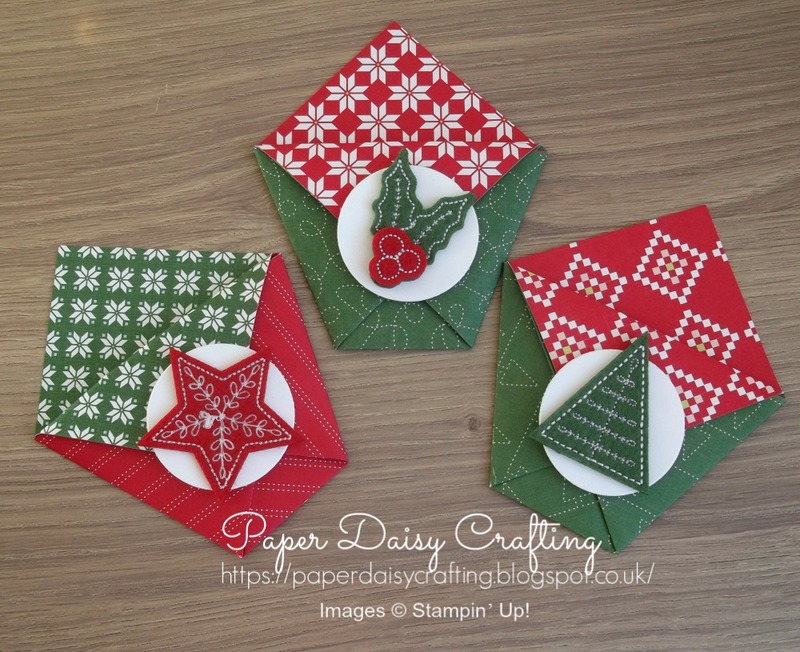 But this year I thought I'd use some of our newer products from the Quilted Christmas suite. The papers are all in traditional Christmas colours of red and green and work well on a project like this. And how lovely are those Stitched felt embellishments? You might notice that this year's pouches are empty - I learned a hard lesson last year about my willpower (or lack of it) so didn't want to risk buying a whole box of After Eights too far in advance! I lost count of the number of boxes I had to buy last year to replace he ones I'd eaten! So I'll fill my pouches much nearer to the time they are needed! Here they are in close up! 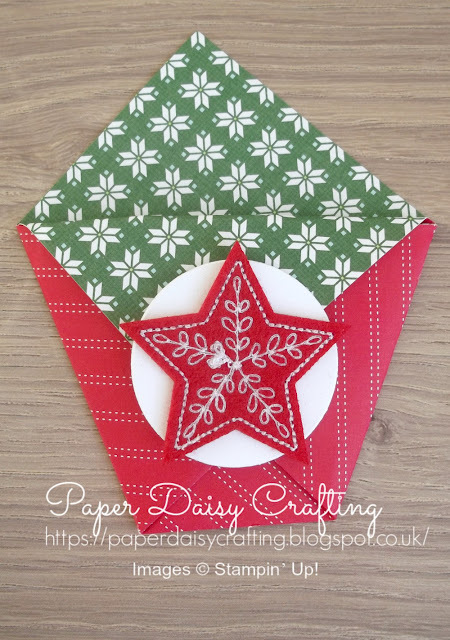 If you'd like to see how I made my pouches, I have made a tutorial which you can view HERE. 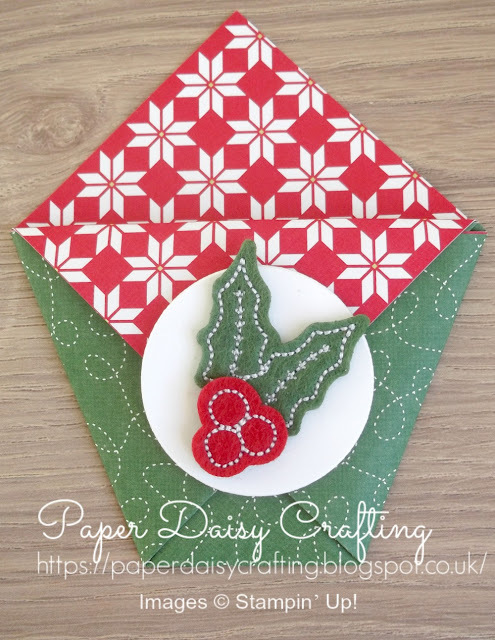 In the video, I mention that the circle was die cut using our Layering Circles die set, but if you don't have these you could of course uese a punch, so I've added that to the supply list below. I think these would lovely on the table set up ready for Christmas lunch!